Watch this video from Silvia Rosenthal Tolisano. Skype Jobs- Students Begging for more Work! from langwitches on Vimeo. 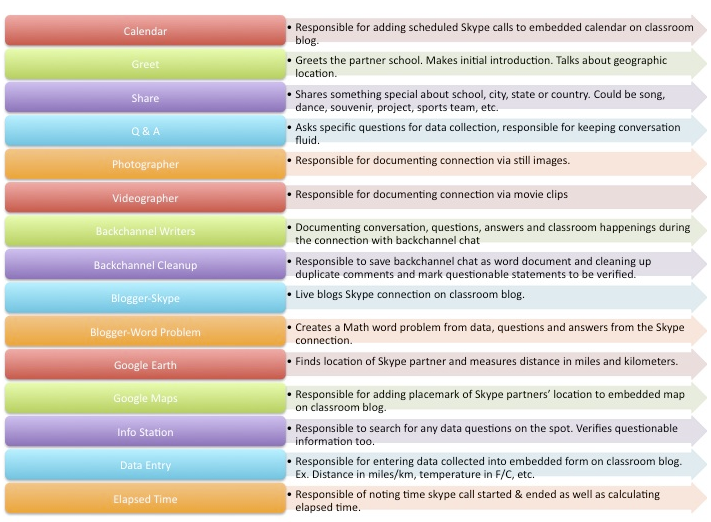 The Skype jobs chart below was also created by Silvia Rosenthal Tolisano who writes the Langwitches blog. We have learned much about using Skype in the classroom from that blog. Thank you, Silvia.